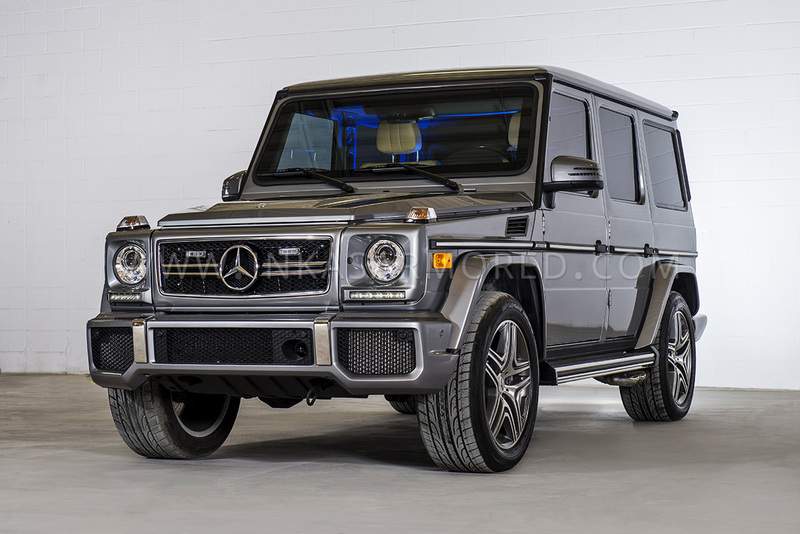 If you need an armored SUV with sure footing – an armored vehicle that can be solid as a rock– look no further than the Mercedes-Benz G63 AMG. This armored SUV is strong and secure in any situation – even post-attack, this vehicle and its CEN BR6 level of armouring will ensure that your drive is completely safe from start to finish. The Mercedes-Benz G63 AMG has an intimidating hulk of a frame and big, heart-stopping headlights that effortlessly emit strength and protection. It has a luxury leather interior and optimal seat spacing, so your comfort is almost at the same exceptionally high level as your safety. A refined, reinforced suspension ensuring a gliding, smooth ride. Perimeter armouring of the passenger compartment which can protect against 7.62mm, 308 Winchester FMJ ammunition, which is up to the CEN 1063 BR6 level of protection. Reinforced flooring that can withstand the blasts of two hand grenades detonated at the same time. It also repels shrapnel and other explosive particulates. Multi-layer bullet resistant glass on every window. Reinforced hinges on doors and other points on the vehicle, which would be considered vulnerable other vehicles. Extra protections for the car battery and the electronic control module, ensuring complete control even through an attack. To make this already indomitable SUV even stronger, this vehicle can also be customized with equipment like heavy duty wheels, a fire suppression system, and a PA/Siren/Intercom system, for whatever emergency may come your way. It also comes with the option of having a heavy duty brake system and components, along with an emergency lighting system to make sure you and your passengers are protected for whatever comes along, and however long the emergency lasts. This INKAS® Mercedez-Benz G63 AMG has an undeniable combination style, safety, and durability. 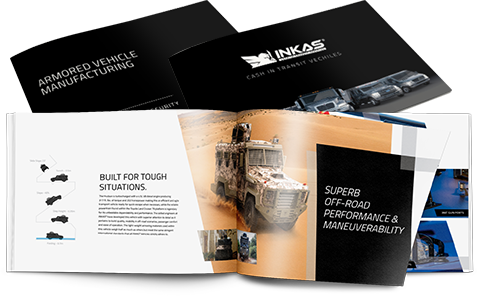 No other armored vehicle could move you as quickly and safely in as much comfort.